WHAT IF YOUR FEET ARE DIFFERENT SIZES? Brannock Devices have been the shoe fitting standard for more than 70 years and are still the best way for determining foot length, width and arch length. 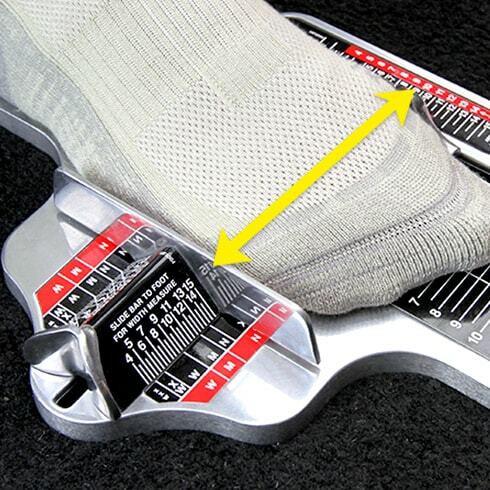 But the Brannock Device is ideally just one component in a proper shoe fitting. Where arch length and heel-to-toe length differ, you generally want to take the bigger of the two sizes. 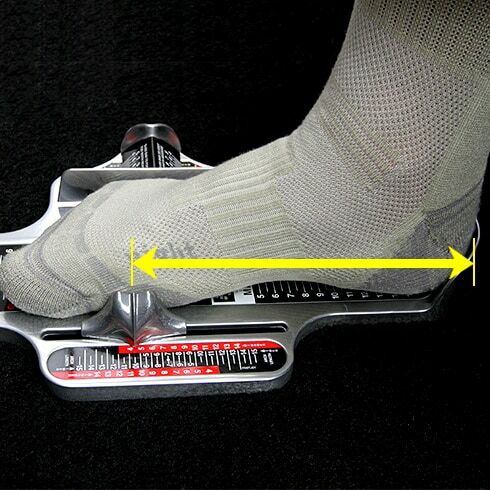 This is to ensure that the ball of your foot aligns properly with the flex point of the shoe. Your feet may swell over the course of the day, so you should always get measured towards the end of the day. Wear an appropriate sock. 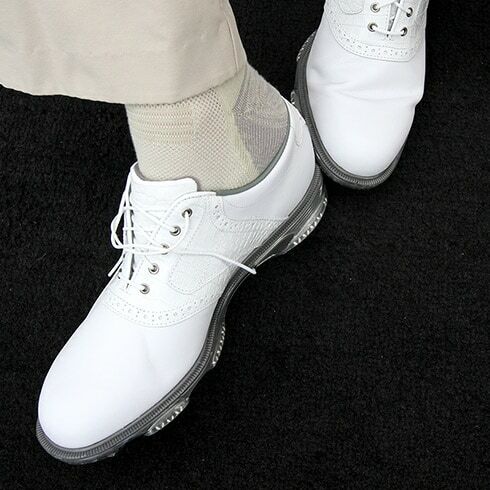 If you’re getting fit for golf shoes, you should bring along the socks you usually wear on the course. 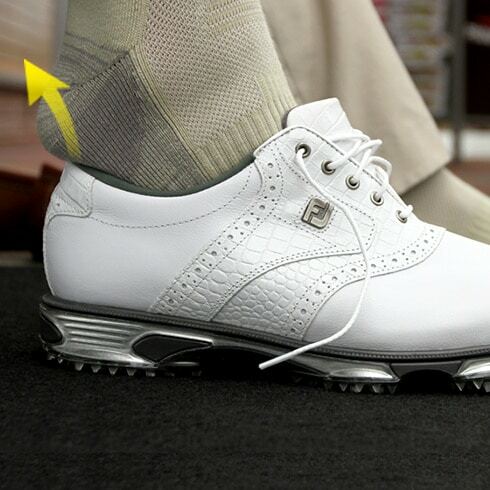 Why pair a performance sock with a performance golf shoe? Sit down when being fit, with your leg at a 45 degree angle. Standing will create downward pressure, spreading out your feet and toes. An accurate fit is “weightless”. Your size will change over the course of your life. 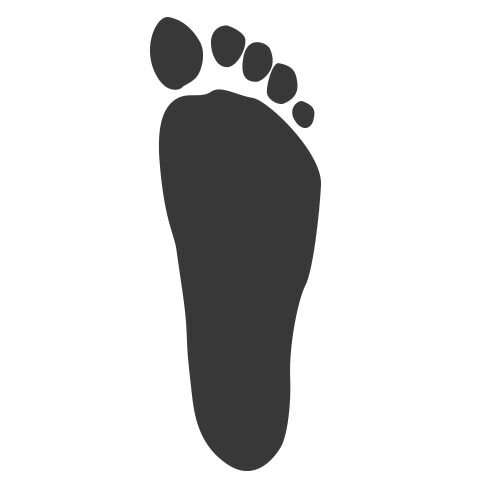 It is not uncommon for feet to flatten and widen as we age. Don’t look at the size on the box, let your feet tell your brain how they feel. 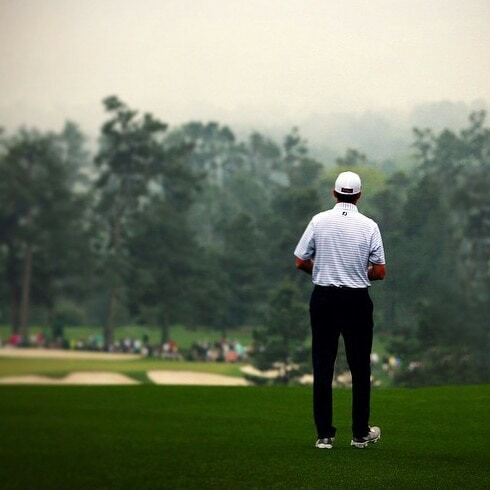 Only FJ focuses solely on golf, so our products enhance the golf experience. It is our sole passion. 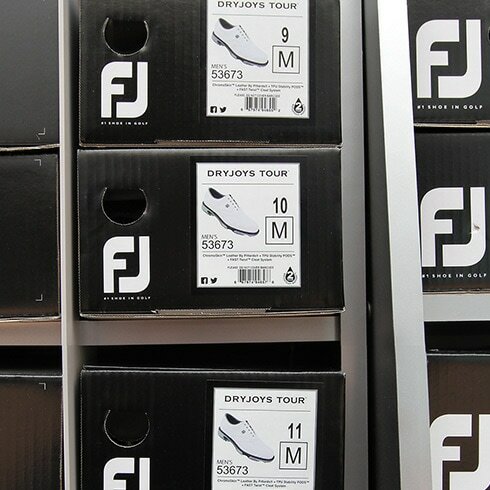 FootJoy offers more sizes than any other manufacturer, you can find the full range in the custom MyJoys Program. 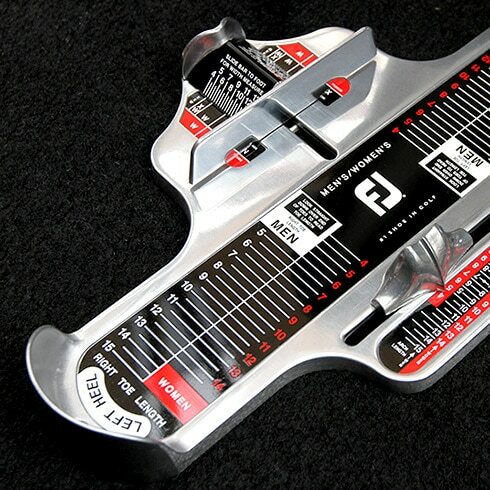 FJ offers more lasts (shoe shapes) than any other brand in Golf, including the Laser last developed from foot scans. 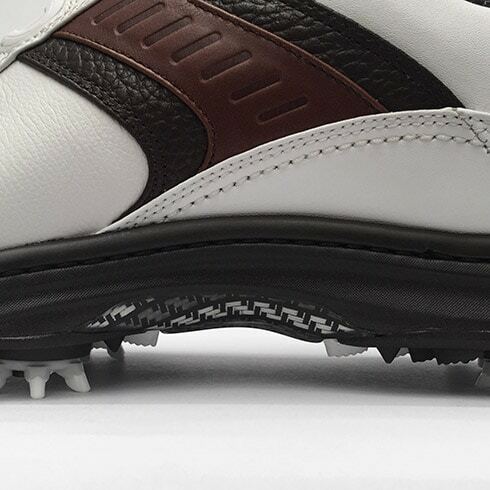 FJ products endure extensive testing to ensure every shoe is made to fit, perform, support and withstand whatever the player encounters during the round. Week-to-week, year-to-year and tour-to-tour, more of the best players in the world wear FJ shoes than all other brands combined. The BOA Closure System pulls the foot down and back into the shoe for the most precise fit available. FJ was the first golf company to work with BOA and is the only brand licensed to offer the exclusive, premium “heel mount”. 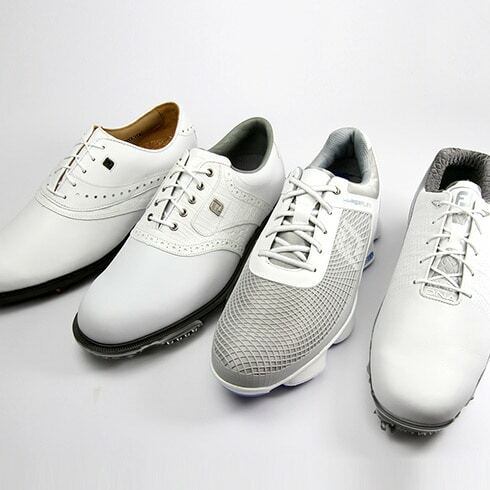 FJ is the leader in golf shoes and golf shoe technology through a commitment to offering every player a shoe that best suits their game and style. 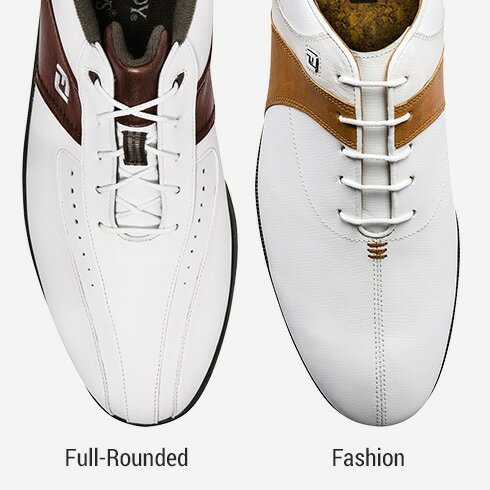 FJ shoes are sized consistently across models. 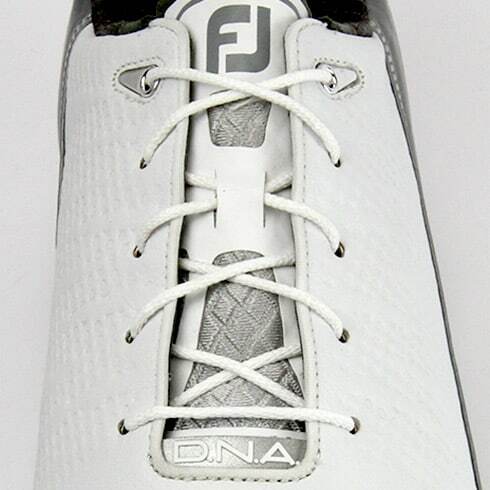 If you wear a 9 M in DryJoys, you are likely to be the same size in other FJ shoes, but the feel could be different. Take a look at the Fit vs. Feel page for more. 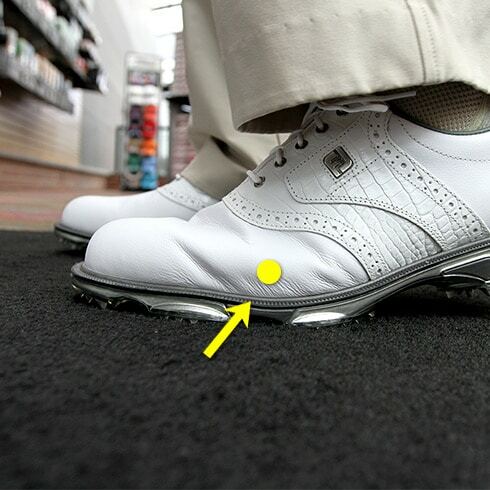 Proper fit reduces friction, prevents slipping -- which in turn, prevents blistering -- ensuring your feet remain comfortable throughout your round. When a shoe fits, it holds its shape. 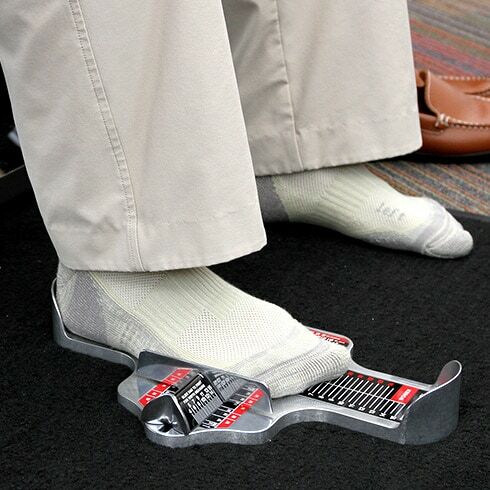 Reduced friction reduces wear keeping your shoes looking better longer. 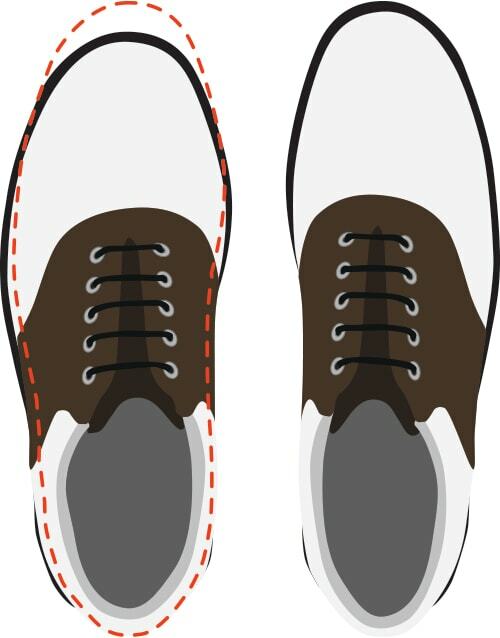 Wearing the proper size can increase your swing force as much as 21% over wearing a poorly fit shoe. Once you are properly fit, any shoe of the same size across the FootJoy line should fit you, but different shoes afford a different feel. 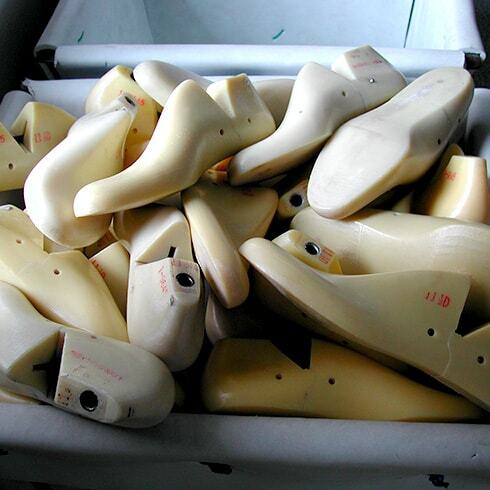 Shoe shapes, determined in part by the lasts they are created on, will vary with the design of the shoe. For example, a bicycle toe shoe with a ‘V’ throat may feel snug around the toes and over the top of the foot. Some people will prefer a snug feel. 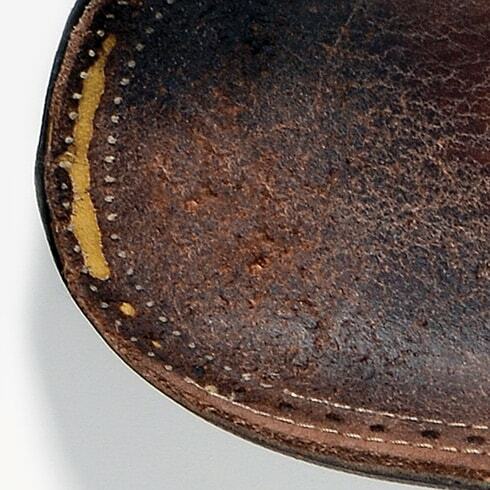 Conversely, a shield tip, with a more rounded or squared toe, might afford more room for your toes. Both may fit equally well, but feel is subjective. Listen to what your feet are telling you. You know what feels good to you. 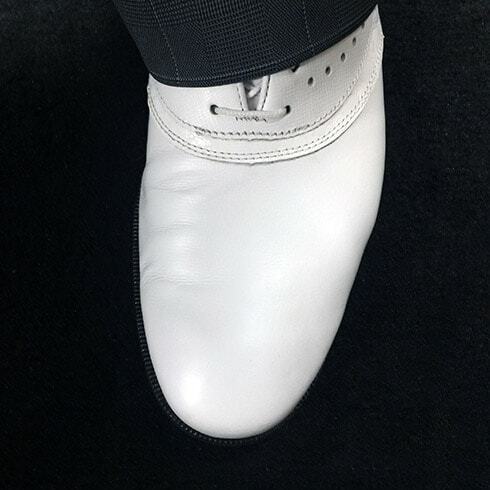 The shape of the shoe, for example, toe shape (full-rounded or fashion) will affect the feel of the shoe. The opening of the shoe may affect the feel of the shoe. A blucher affords the widest opening, a V-throat the snuggest. Shoe linings can also affect feel. 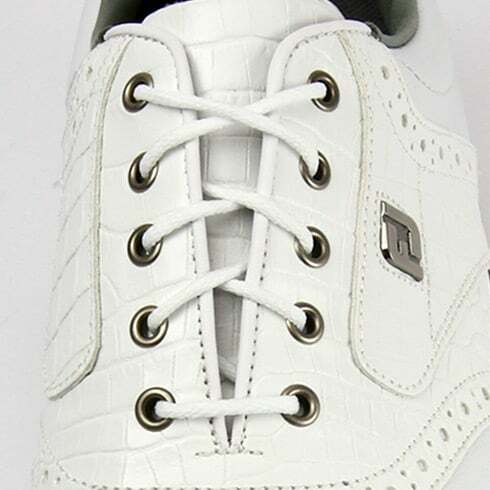 Some people prefer the smooth feel of a leather upper, others may prefer fabric linings. 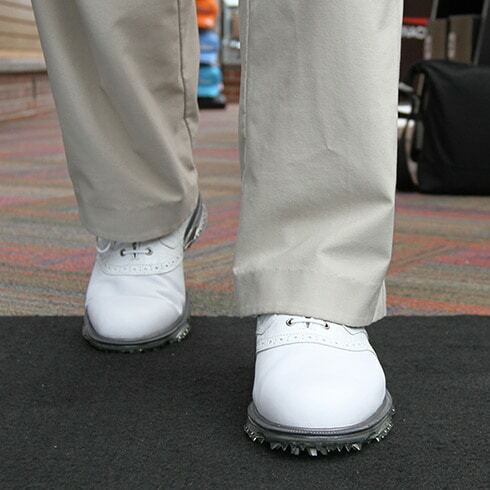 Many FootJoy models offer memory foam around the heel and/or the tongue to provide a snug feel. For people who want to remove any movement in their shoe, BOA offers the most precise fit for the most snug feel. 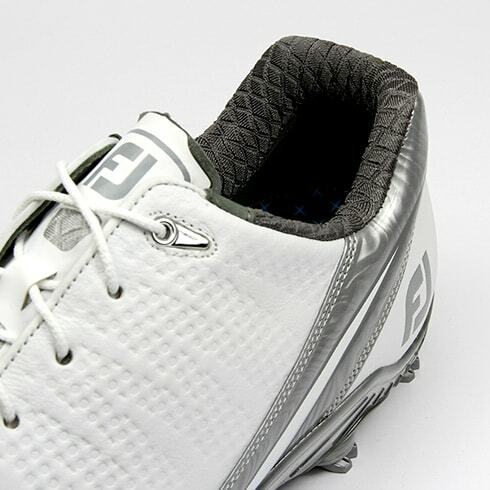 For people who prefer their shoe to conform to their foot and not the other way around, FootJoy offers meshes and grids. When trying on shoes, be sure to talk to your fitter about specific elements that you like or dislike about the feel so that they can better guide you to a shoe that not only fits you but also feels the way you want it to. 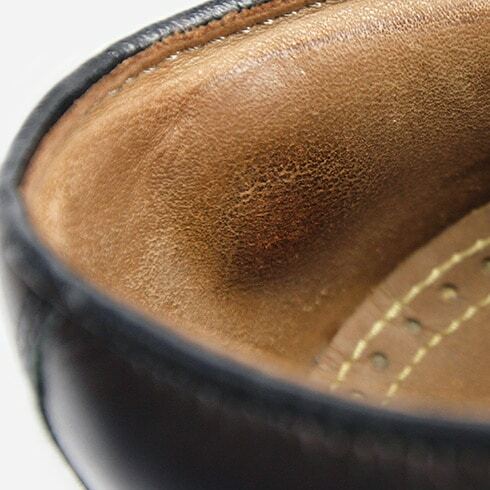 Shoes should fit comfortably from the first wear and should never need a "break in" period. If they do, you might be one of the 70% wearing the wrong size. Shoe is too long, too wide, or both. Shoe is too small, too narrow, or both. Your foot is likely moving within a shoe that is too big. Can you slip it off? If you can slip your shoe off without unlacing it, it is too big. In addition to blisters, poor fitting shoes can contribute to feelings of fatigue in your legs or back pain. 90% of people have feet that are different sizes. 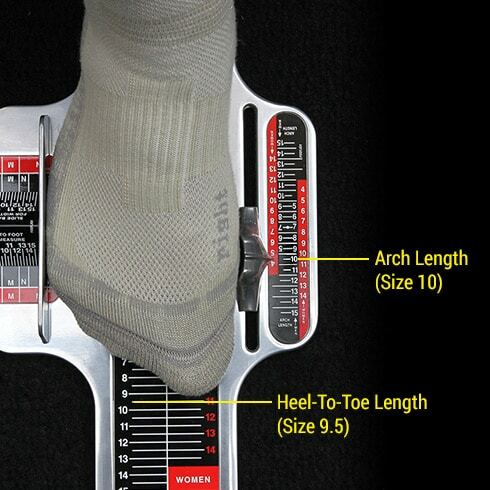 Always have both feet measured and fit to the larger foot. If your feet are more than one size different in length or two sizes in width, you may need to order different sizes for each foot. 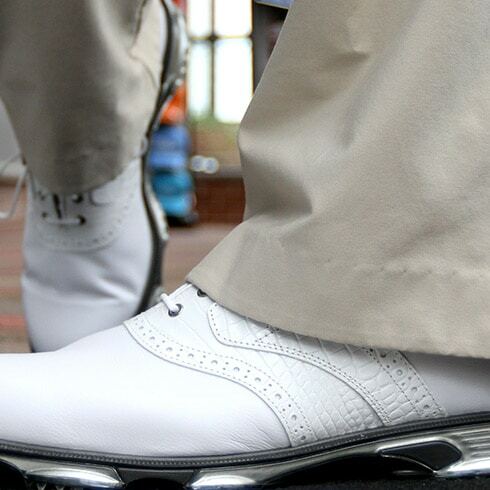 FootJoy is the only brand in golf to offer different sized shoes in the same pair. Available through our custom MyJoys Program. 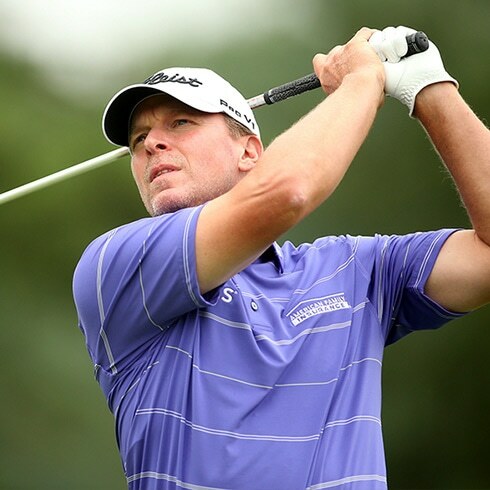 Steve Stricker wears uneven pairs through the MyJoys program. His left foot is an 11 Medium while his right foot is an 12 Narrow. 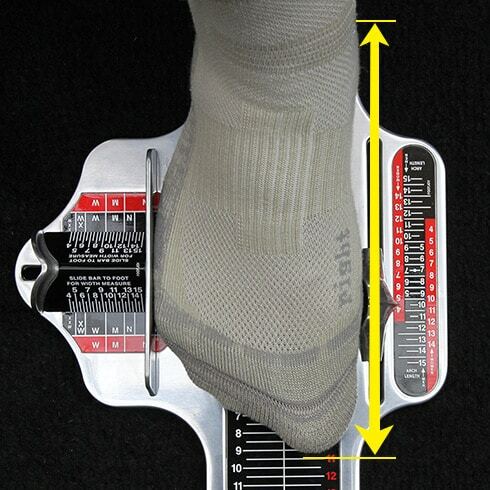 The most common mistake that leads to wearing the wrong size shoe is neglecting to measure for foot width. 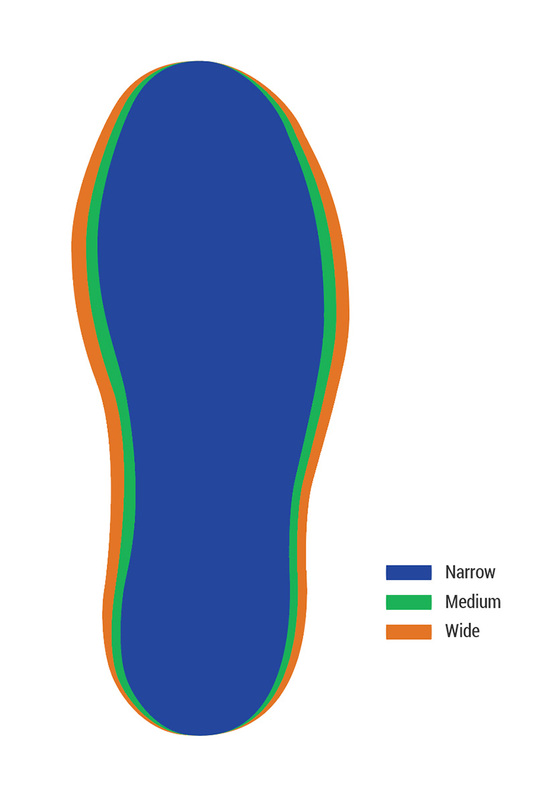 While most purchase and wear shoes that are medium, or "regular" width, nearly 40% of people should be wearing shoes that are narrower or wider than they believe. How do I know if I am wearing the wrong width? It is important to note that other factors, such as arch height, might affect this, but it is a good guideline to consider. A sign that your shoe may be too narrow. A sign that your shoe may be too wide. 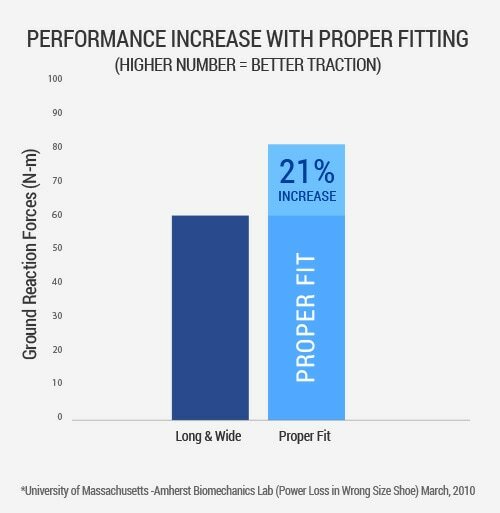 The most common fit problem we see is when people go up a size because a shoe feels tight. While a Brannock Device will give you the important arch length measurement, it can’t tell you the shape of your arch. How do you know? In bare feet, lightly wet the soles of your feet and then step on a blank piece of heavy paper (such as a shopping bag). The wet footprints you leave on the paper will show you your arch shape. 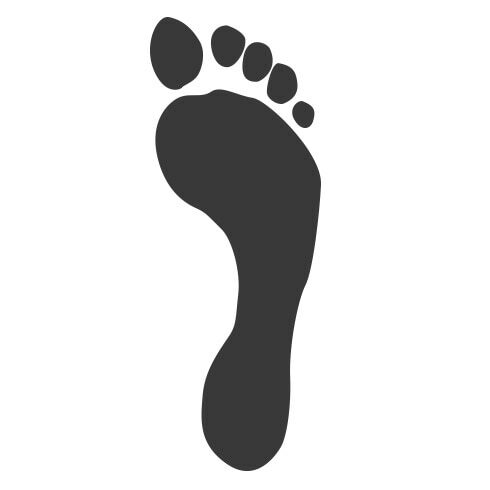 A Flat or Low arch will leave a print of all or nearly all of the bottom of the foot. 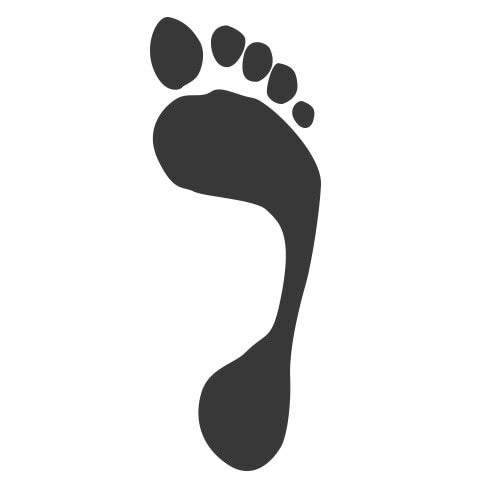 A Normal or Medium arch will leave a print of your heel and forefoot connected by a slightly narrower band. A High arch will leave a print with a much narrower connecting band. Your arch shape may change. Typically, people’s arches become flatter as they age. A U-throat opening may be easiest to put on. You may want a wider shoe for more volume. You want to feel the support under your arch. A lower-volume shoe with a V-throat opening may be right for you. 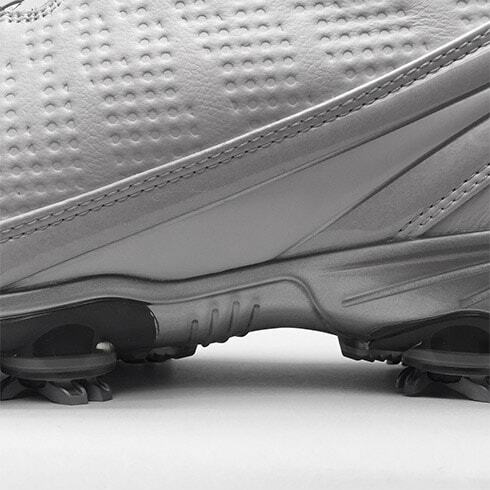 Look for shoes with good stability in the midsole, such as FJ ICON , Pro/SL and ContourFIT . Finding shoes to accommodate different arch shapes is another thing that your professionally trained fitter should be able to assist you in. If you are experiencing regular discomfort (or pain) in your back, legs or feet while golfing, FootJoy recommends consulting your doctor. It is not uncommon for golfers to assume that their back or leg pain is caused by their swing (or not golfing enough!). We often hear in fittings that consulting a podiatrist and changing to a shoe that offers the right support relieves their discomfort. Pronation is simply the natural “roll” of your foot as you walk, but over-pronation can cause pain when you walk, as well as other issues such as back pain. Over-pronation is sometimes associated with flat or low arches. 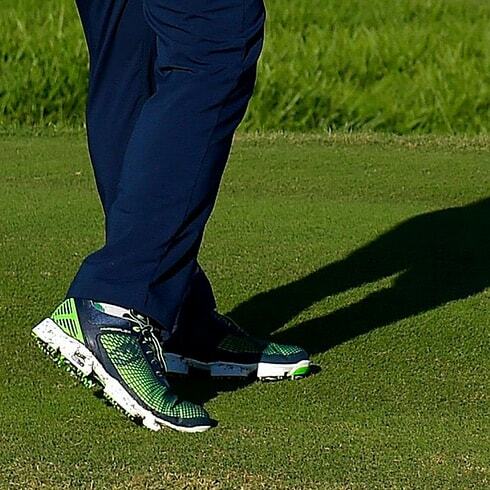 If you have been told by a doctor that you over-pronate follow your doctor's shoe recommendations, but we would suggest you try a shoe with good midsole support, like ContourFIT or FJ ICON . We would suggest trying ICON Black , FJ ICON , or DryJoys Tour. Orthotics are shoe inserts for people with high or low arches or for medical conditions such as plantar fasciitis. 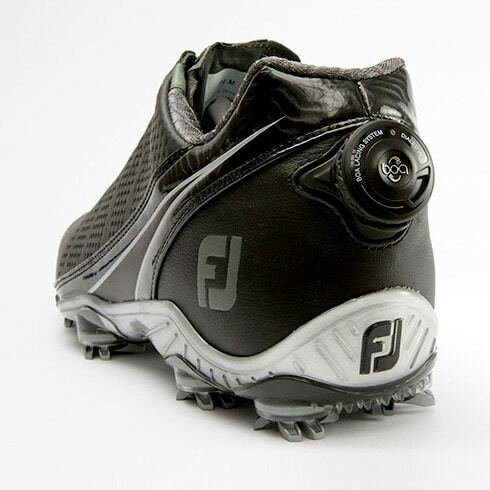 FootJoy golf shoes offer more support than running shoes. 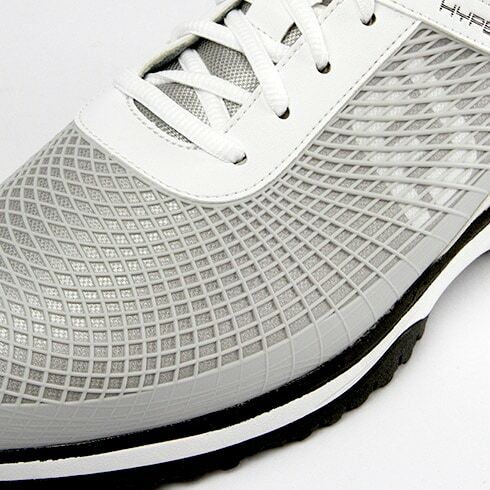 Even if you require orthotics for your running shoes, you may find that you do not need them for golf. 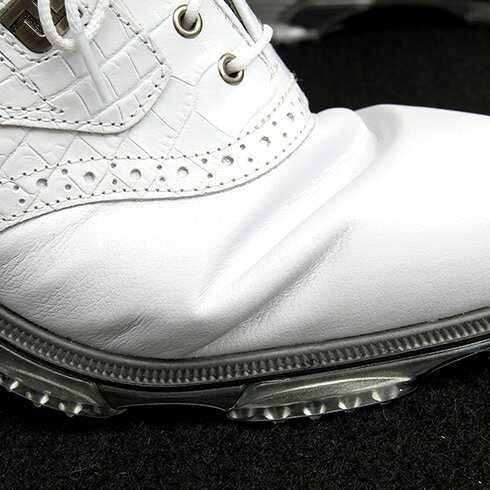 The most important factor to consider when you want to use orthotics with your golf shoes is Fit-Bed® insole width. 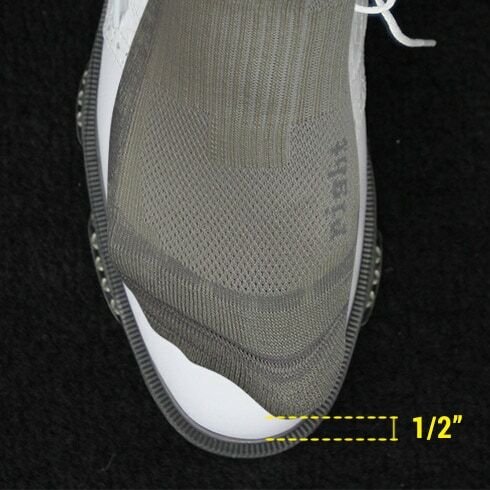 The Fit-Bed® insole is part of the shoe design. 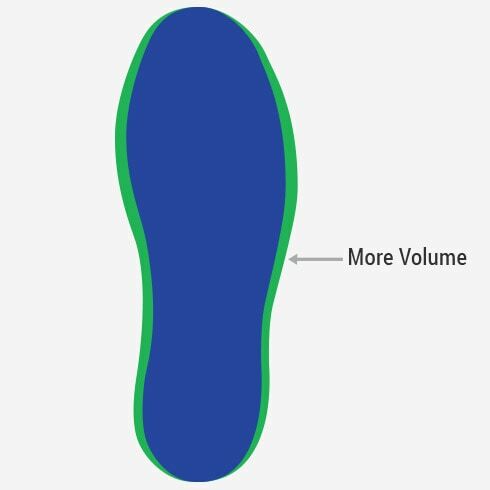 If your orthotics are thicker than the Fit-Bed® insole, you may not have enough volume in the shoe for your foot. If your orthotics are thinner than the Fit-Bed® insole, then you might not have enough cushioning. Bring your orthotics with you to be fit by a trained professional. 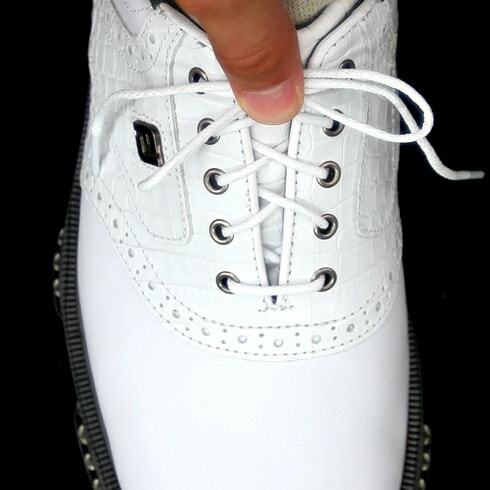 Bring your properly fit golf shoes with you to your doctor to create orthotics specifically to work with your shoes.